The famous maker of keyboard keys Cherry has announced the new MC 4000 gaming mouse. The new company device has been designed for intense gaming sessions but Cherry also says the new mouse can also be used by professionals who need exceptional mouse precision. The MC 4000 is a wired mouse so this may disappoint some of you but we must say that it comes with impressive specs. 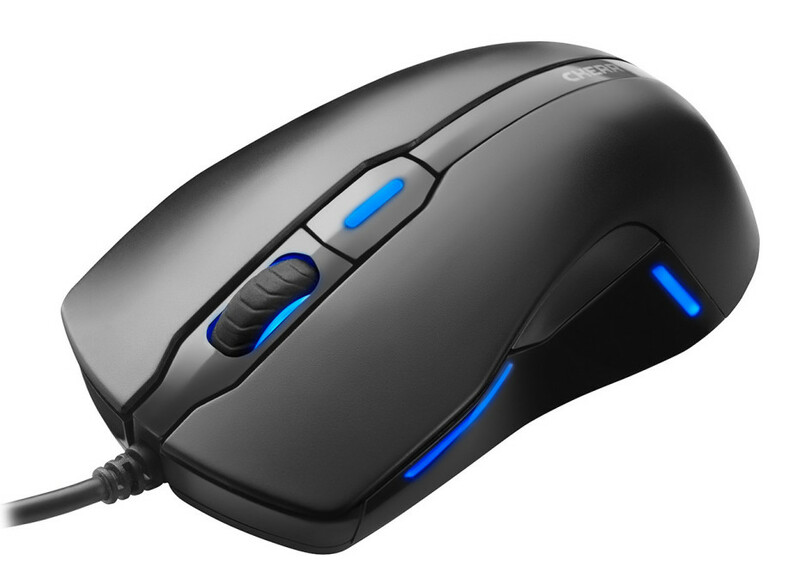 The new Cherry mouse is based around a high-quality optical sensor that works at either 1000 dpi or 2000 dpi. This allows the user to select the optimal resolution for a wide variety of daily tasks. The DPI setting is indicated by two predefined colors that light the scroll wheel, side panels and the DPI switch: blue for 1000 dpi and red for 2000 dpi. Together with a high-speed motion detection of 1.5 meters per second (60 inches per second) the Cherry MC 4000 represents the ideal solution for high-speed professional use. Another nice feature of the new mouse is that comes with a special 360-degree sliding pad, which surrounds the entire bottom of the mouse including the sensor. This ensures smooth and stable movement. Moreover, the Cherry MC 4000 sports a symmetrical design that offers the best ergonomics. This means that the mouse is equally well-suited for left- and right-hand users. The Cherry MC 4000 is equipped with a total of six buttons, including buttons for DPI switching, browser navigation, and Windows Panel, and they have been positioned in such a way that a comfortable two-handed operation is always possible. The Cherry MC 4000 mouse will be available next month for a suggested price of EUR 30.